During the federal election campaign of 1988, John Turner’s Liberals ran what still ranks as one of the most famous political ads in Canadian history. As a sinister-looking American erases from a map the line that separates our two countries, a narrator asks: “Just how much are we giving away in the Mulroney free trade deal? Our water? Our health care? Our culture? The line has been drawn. Which side do you stand on? . . . This is more than an election. It’s your future.” It wasn’t just a piece of election propaganda. It was a defining expression of a foundationally Canadian fear. This week, Stephen Harper’s Conservative government signed on to the TPP, the biggest trade agreement in history. Justin Trudeau is supportive, with some mild caveats, while Thomas Mulcair is opposed. The battle lines have been drawn—and yet nowhere on television (or even YouTube) will you find hysterical NDP ads about erasing borders or destroying Canadian sovereignty. A month from now, no one will be looking back on the October 19 vote as “the TPP election.” In fact, I’m guessing that many (perhaps most) of the people reading this don’t know what the acronym stands for (Trans-Pacific Partnership) let alone how many countries have signed on (twelve). What’s changed in the last twenty-seven years? First of all, many Canadians have become resigned to the idea that free trade is an inevitable part of a globalized age. And the union movement, the most important opponent of free trade in the 1980s and 1990s, is in serious decline. But there is also something larger at play: The old neurosis about the United States gobbling up Canada is dead—thanks in large part to the after-effects of the 2008 financial crisis, which humbled the US while leaving us relatively unscathed. On the world stage, the United States is consistently being upstaged by regional actors (Russia in Syria, most recently). The rise of our oil sands, and the two-term presidency of a left-wing president, have taken the fun out of foreign big-oil conspiracy theories. In 2013, blockbuster financial writer Diane Francis came out with Merger of the Century, a book suggesting that Canada and the United States amalgamate. As recently as a decade ago, this would have precipitated a nationalist freak-out. Instead, bemused critics wondered how on earth Washington could ever pony up the dough to afford us. It’s wonderful that Canada has shrugged off its American obsession. But it’s also confusing. As in many other countries, it’s our national neuroses that provide our politics with their organizing principle. During the health-care debates of the Chrétien-Martin era, for instance, defenders of the single-payer status quo robotically attacked reformers as purveyors of “American-style” policies. It was reductionist, but the preprogrammed nature of the sloganeering was comforting to pundits. The same sort of analysis applies to the United States, whose great political neurosis derives from the unresolved tension between the idealized dream of perfect liberty, and the necessarily dirigiste imperative of a modern bureaucratic welfare state. (The unresolvable nature of this dialectic ensures that Republicans and Democrats will continue having variations of the same argument for decades to come.) But Canada doesn’t have that neurosis: Every single one of our major political parties long ago made peace with the idea of government acting as a major player in our economy and culture. 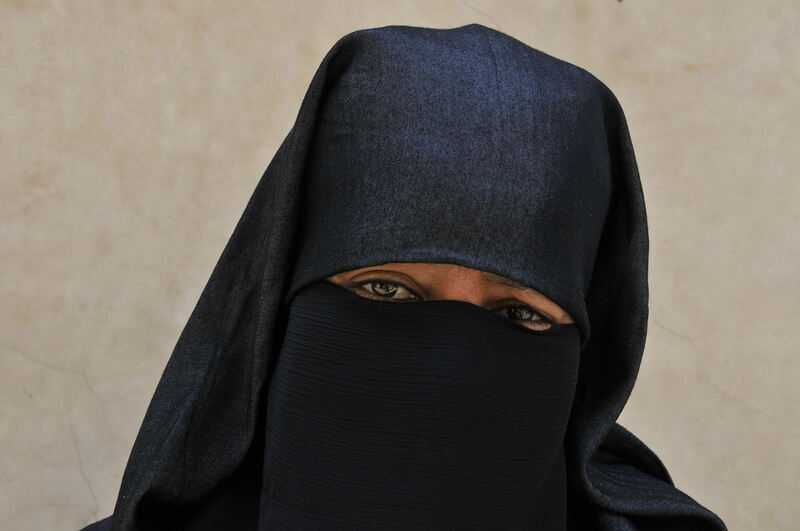 This absence of any real existential neurosis explains why we’re spending so much time debating an issue—the right to wear a niqab during a citizenship ceremony—that has affected precisely two Canadian citizens. Absent any truly national question to serve as an ideological organizing principle for this election, our Prime Minister effectively just plucked one randomly from populist conservatism’s post–9/11 fever swamps. As trivial as the issue may be in the grand scheme of things, it does tick a lot of boxes for an incumbent running on the theme of “protecting Canada.” Makes old people scared? Check. Dovetails well with news-media images of crazed foreigners killing one another in the Middle East? Check. Demonstrates a commitment to stand by core supporters “through fire and water”? Check. Because Quebecers have been collectively agitated over the niqab for a few years now, many of us have become accustomed to hearing about it. It was only when I delivered a speech to an American audience last week that I realized how strange and obscure it is. In the lead-up to a panel discussion at the Canada Institute in Washington, DC, I told an organizer that I would be discussing “the niqab issue.” She stared at me blankly while I repeated the word. No, it’s not a Tonya Harding thing. But while we’re talking about the disgraced former figure skater, Harper should remember the legacy that invariably awaits any competitor who gets called out for underhanded tactics. Think of Pauline Marois in Quebec, for instance. Do we remember her as the first female premier of Quebec . . . or as a demagogue who unsuccessfully flailed out at Muslims in a desperate bid to win majority government? I admire a lot of what Stephen Harper has done for this country. I voted for him in the past—more than once. But if he continues to play the niqab card, and loses anyway, much of the good work he has done for Canada over the past nine years will be forgotten. Instead, he will be remembered as a man who cynically summoned up Canadians’ worst elements in a desperate bid to cling to power. When it comes to the way we talk about minorities in this country, Canadian politicians traditionally have respected certain red lines. To borrow a phrase: Mr. Harper, which side do you stand on?